Season closes with Mackenzie victory at Coolum's final round. lick here for race highlights. Team Motul Suzuki’s Matt Moss wrapped up his second straight Monster Energy MX Nationals championship on Sunday at Coolum, in a round won by CDR Yamaha’s Billy Mackenzie. In moto one title contender Kirk Gibbs clawed his way to the race win, fending off a fast-finishing Jacob Wright (CDR Yamaha), while early leader Billy Mackenzie (CDR Yamaha) crossed the line third. Former world champion Ben Townley was fourth in his final appearance with Penrite Honda, as fifth for Matt Moss after an early crash saw Gibbs narrow the gap from 36 after Super Pole to 26. The second moto again featured Mackenzie up front in the early stages, until Townley made gains in the closing stages and took over at the front for a surprise moto win. Townley won over Mackenzie and Gibbs, with Kade Mosig (DPH Motorsport Yamaha) bouncing back from a DNF in moto one to finish fourth ahead of Matt Moss, who went down once more. That left Gibbs’ deficit in the standings at 24 points entering the final moto. 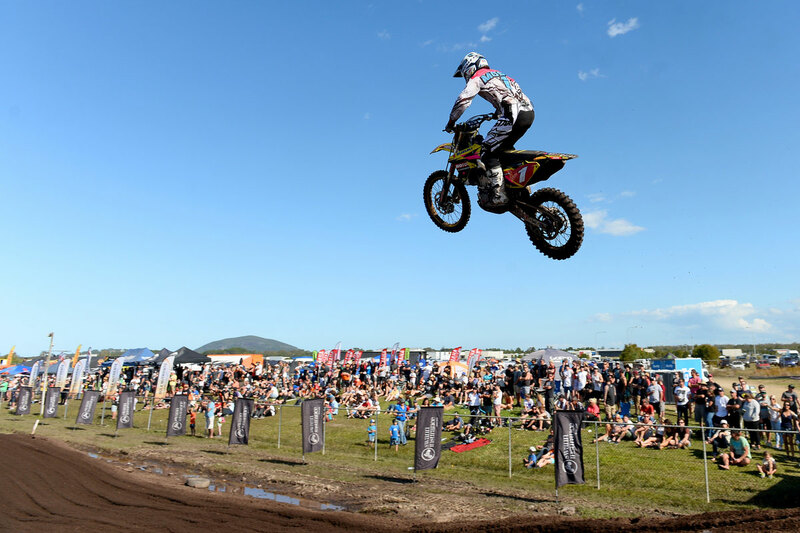 Moto three was all Mackenzie out front and this time he held on for the moto win, which sealed him the overall win on countback after tying with Gibbs. Second in the final moto was Gibbs from Jake Moss, NPS Monster Energy Kawasaki teammate Adam Monea, Wright and four-time title winner Jay Marmont in his final professional moto for CDR Yamaha. He ended the round eighth overall and championship in 12th. An eighth in moto three for Matt Moss was enough to claim the title; his second in a row for the Jay Foreman-led factory Suzuki outfit on board the RM-Z450. Overall for the round Mackenzie topped the podium over Gibbs and Wright, with moto two winner Townley fourth also on countback behind Wright. Monea completed the top five ahead of Matt Moss in sixth overall. The championship belonged to Moss, this time from Gibbs and Mackenzie, who was comfortably ahead of Monea and teenage revelation Wright.